“Lachner’s String Quintet, Op.121, which appeared in 1866 is a pleasure to play and presents no especial technical problems. It cannot be denied that there is a certain greatness about it. The main theme to the opening movement, Allegro moderato, has a pleading, almost tragic quality to it. The music is superbly developed and even at one point has a magnificent fugal section. The whole thing is quite effective. The following Andante con moto is based on a simple melody. The music is contemplative but not without dramatic interludes. The spacious Scherzo, allegro assai, with its contrasting trio are both essentially dominated by rhythm though they are not without charming melody. The finale, begins with a short, atmospheric Andantino introduction before leading to the excellent main section, Allegro assai, which is extremely effective.”---The famous chamber music critic Wilhelm Altmann, writing in his Handbook for Chamber Music Players. 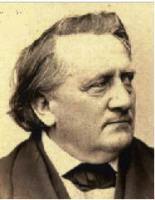 Franz Lachner (1803-90) was born in Rain am Lech, a small Bavarian town and trained in Munich. He is the older brother of Ignaz, whose works we also publish. In 1823, by winning a musical competition, Lachner was awarded a position as an organist in a church in Vienna. In Vienna, he met Schubert. “We two, Schubert and I, spent most of our time together sketching new compositions. We were the closest of friends, mornings performing for each other and discussing in depth every imaginable topic with the greatest of candor.” It should come as no surprise then that Schubert influenced Lachner’s musical compositions more than anyone else. He left Vienna in 1834 and returned to Munich where he remained the rest of his life, serving as Conductor of the Royal Bavarian Orchestra from 1834 to 1868. He also held the position of Professor of Composition at the Royal Conservatory. Lachner's chamber music was much admired and often performed. Mendelssohn was fascinated by it and Schumann called Lachner the most talented composer in southern Germany. Writing twenty years later, Tchaikovsky noted that Lachner had to be placed near the pinnacle of fine composers. This mid Romantic String Quintet is a first rate addition to a small repertoire and should be a must for professionals and amateurs alike.